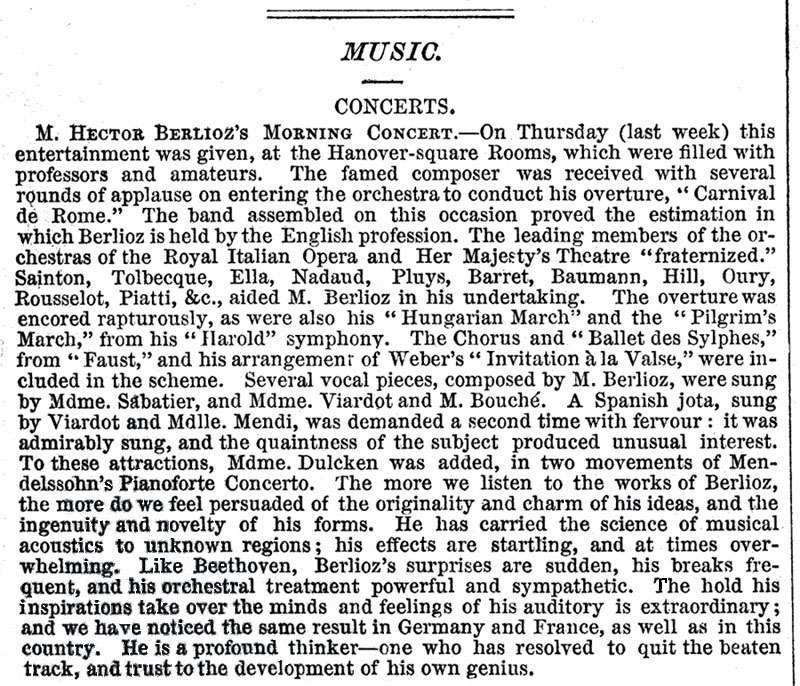 This page reproduces a contemporary review of Berlioz’s concert on Thursday 29 June 1848, at 2pm – the last he gave on his first visit to London (1847-48). The concert was held at the Hanover Square Rooms. The text of the review and two accompanying images have been scanned from our own copy of the issue of 8 July 1848 of the Illustrated London News. See also another review of the same concert published in The Times on 30 June. The Hector Berlioz Website was created by Monir Tayeb and Michel Austin on 18 July 1997; this page created in December 2004.